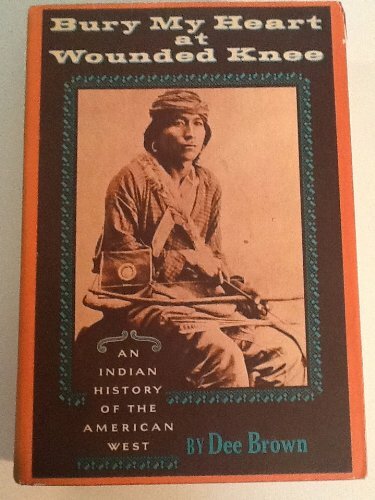 Bury My Heart at Wounded Knee is Dee Brown's eloquent, fully documented account of the systematic destruction of the American Indian during the second half of the nineteenth century. A national bestseller in hardcover for more than a year after its initial publication, it has sold almost four million copies and has been translated into seventeen languages. For this elegant thirtieth-anniversary edition -- published in both hardcover and paperback -- Brown has contributed an incisive new preface. Using council records, autobiographies, and firsthand descriptions, Brown allows the great chiefs and warriors of the Dakota, Ute, Sioux, Cheyenne, and other tribes to tell us in their own words of the battles, massacres, and broken treaties that finally left them demoralized and defeated. A unique and disturbing narrative told with force and clarity, Bury My Heart at Wounded Knee changed forever our vision of how the West was really won.